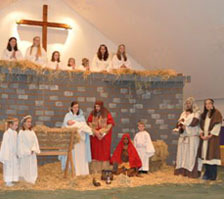 At 8 and 10 a.m., Dunn’s Corners offers inspirational and uplifting services of worship. 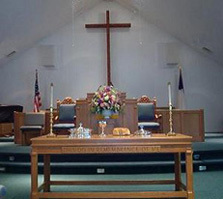 These services follow the traditional reformed worship style. 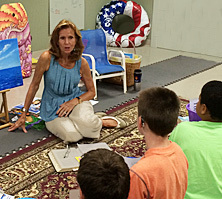 They are designed to be reverent and celebratory; warm and expansive; joyful and meditative; familiar and fresh. 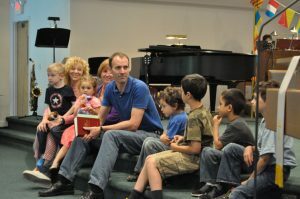 We sing from Glory to God: The Presbyterian Hymnal, which includes a diverse selection of hymns, psalms, and spiritual songs. 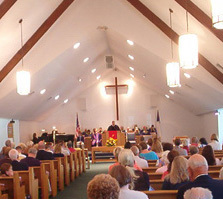 Traditional and modern hymns are sung throughout the church year. 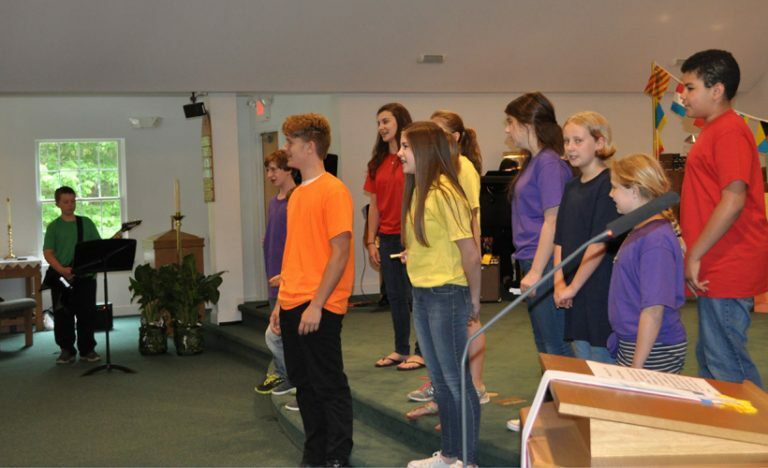 The Chancel Choir, Community Church Ringers, High School Handbell Choir, and other ensembles lead musical offerings. 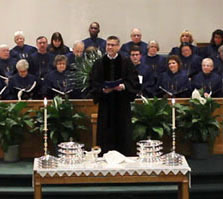 Communion is served on the first Sunday of the month. 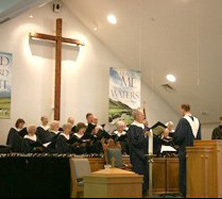 Special music is offered each week at the 8 am service. 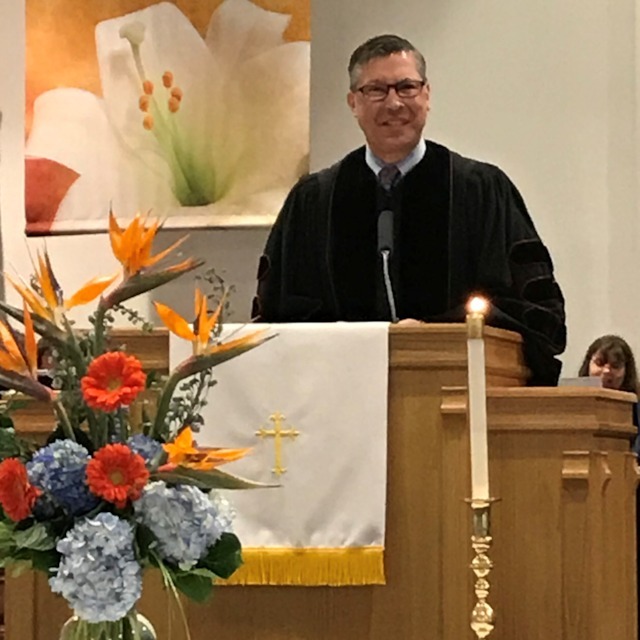 The 10 am worship service has the same content as the 8 am service, with the addition of musical offerings from the larger choirs. 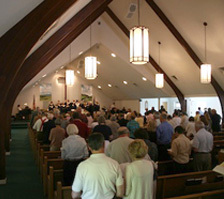 Most frequently, the Chancel Choir leads the congregation in hymns and offers anthems for moments of reflection. 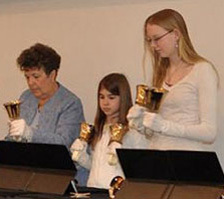 The Community Church Ringers regularly offer inspirational handbell selections. 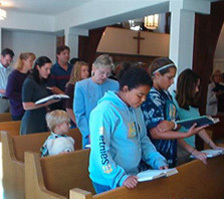 During July and August, the 8 am service moves outdoors to the Chapel in the Pines, weather permitting. 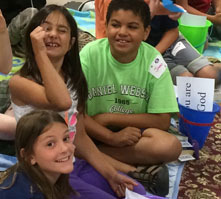 Gluten-free communion wafers are always available so that all who partake may be totally focused on Christ rather than question whether the bread is safe for them to eat.